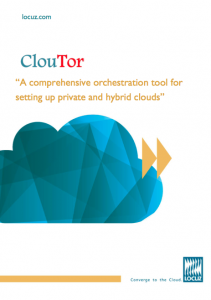 ClouTor provides an integrated software solution for extending existing IT infrastructure investments into a highly scalable, on – premise cloud computing environment. Because it focuses on removing the complexity of cloud infrastructure by integrating all of the key components, customers realize instant efficiencies and without the overhead of integration, professional services, and complex deployment schedules. Y-Axis Solutions Ltd., the India’s No. 1 and fastest growing overseas careers and immigration consultant trusts ClouTor to manage & automate their Private Cloud Infrastructure. Locuz was chosen as their partner for IT consulting, designing, implementing and thereby transforming the entire IT landscape to a cloud model. As the market place transforms, enterprises are undergoing a radical shift in the way they create value and competitive edge.